One of the most famous pieces of history is returning to a place that it once called home. Just what is this very special piece of history? 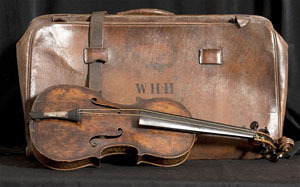 The violin that once belonged to a young man named Wallace Hartley. 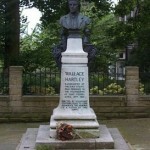 For anyone that is a student of the famous sinking of the RMS Titanic, the name Wallace Hartley is very familiar. 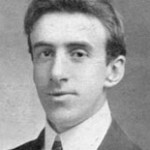 Wallace Hartley was in charge of the Titanic’s band, and as the big ship sank slowly into the North Atlantic, this brave group of men played lively tunes trying to keep the passengers calm. The band played until the water, and the slant of the Titanic’s deck was too much for them even be able to stand. However, the men were very brave, and once the ship went down, they were all in the water fighting the cold. 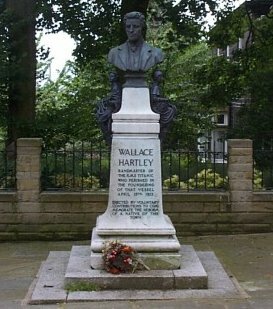 Out of the men in the band, the only body that was recovered was that of Wallace Hartley. When the body was examined , something very special was found attached to Hartley’s back, and that was his most prized possession, his violin. On the night of April 14th, 1912, the RMS Titanic struck an iceberg, and at 1140 in the evening, it began to sink in to the North Atlantic. At first, the passengers were kept in the dark, but were quietly told to get out of bed, put on warm clothing, and then get up on the top deck with their lifebelts. Many of the passengers were well-seasoned travelers, and to them, the idea of anything happening in the middle of the night was exciting. However, as time went on, the obvious fact that something was terribly wrong, people began to ask questions that needed answers. To keep everyone at ease, Captain Smith asked Wallace Hartley, and his band, to set up on the deck and play. The songs that Hartley played were fun, upbeat, and lively, and many of the passengers were calmed down by such a cheery scene. After all, what could possibly be wrong if there’s such great music playing? However, the songs were a rouse, and things were indeed serious, and very soon, the Titanic, and over 1500 of her passengers, would go with her. At first, Hartley was playing happy tunes, but as he too saw how the Titanic was going down, his songs began to become more somber. There is much debate over the very last song that Hartley played on his violin, but a majority of the witnesses at the Titanic hearings, claim that he played the popular song, “Nearer My God to Thee,” which makes the violin even more special knowing that was last played on it. Once Hartley’s body was found, his violin was removed, and his possessions were sent to his fiancee, a woman named Maria Robinson. The violin had been a gift to him from her, but once the violin came back to her, what happened to it was unknown until it was discovered in an attic. 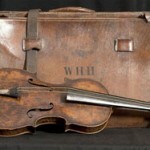 The Titanic Branson Museum had the violin on display for years before it was put up for auction. However, once the violin was sold, it was not sure whether it would be displayed again, if ever. But now, the good news that has hit the airwaves is the fact that this very famous violin is now going to be heading back to the United States. The Titanic museums at both Branson, Missouri, and Pigeon Force, Tennessee. At this time, it is not known exactly when the violin will be displayed, or just how long it will be part of the famous museum’s exhibits, but this will give Titanic enthusiasts a chance to see the violin up close. The most famous Titanic artifact ever, the violin owned by band leader, Wallace Hartley, was sold back in 2013 for a lot of money, and the world thought that it would never be seen in any public display ever again. However, an announcement has been made that the famous violin will be on display next year, and will spend time at both the Titanic Branson Museum, and the Titanic Pigeon Forge Museum. 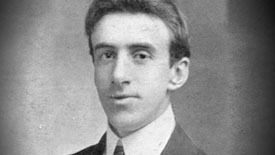 When more information becomes available about when the Wallace Hartley violin will be arriving back in the United States, and when it will be at the museums, we will post all about it!